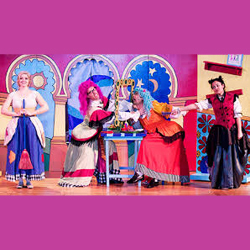 Houston Grand Opera's "Cinderella in Spain"
Get a sneak peek at this weekend's Texas Dragon Boat Regatta! October is “Drug Prevention Month” in Houston and Houston Crackdown, the anti-drug division of the Mayor’s Office of Public Safety and Homeland Security (MOPSHS), co-sponsors a public Candlelight Vigil for victims who have died as a result of alcohol or other substance-related incidents. This year’s event will take place on Thursday, October 25 at 7pm on the steps of City Hall (901 Bagby Street). Houston Police Department Chief of Police Art Acevedo will be the speaker and the Salvation Army Harbor Light Choir will entertain. Houston area civic and religious leaders will also be on hand to offer spiritual guidance and hope for families that have been devastated by alcohol and opioid addiction. If you would like to have your loved one remembered, please send a jpeg photo to Reid.C.Reichle@usdoj.gov by this Friday, October 12. 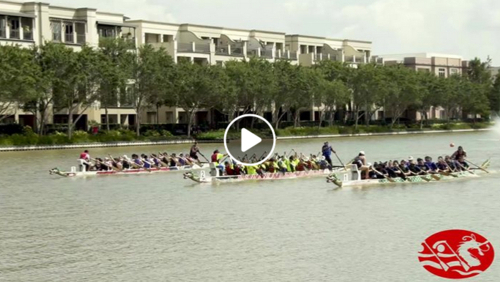 It’s almost time for the next Texas Dragon Boat Regatta, which is taking place this weekend in Sugarland. Check out this week’s VIDEO PICK for a sneak peek! 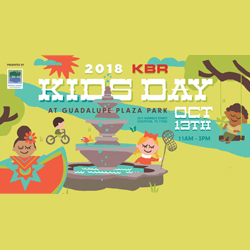 This Saturday, October 13, from 11am-3pm, enjoy free family fun with Buffalo Bayou Partnership www.buffalobayou.org at their annual “KBR Kids Day” at beautiful Guadalupe Plaza Park. Kids will get to learn all about BBP and its programs – plus there will be activity stations that will include numerous hands-on activities, local entertainment, Día de los Muertos face painters, a rock climbing wall, a Birds of Prey show, and much more! Costumes are encouraged (there will be a Halloween parade) and food and drinks will be available for purchase. The park is located at the corner of Jensen Street and Navigation Boulevard. 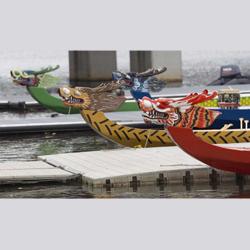 The Texas Dragon Boat Regatta is taking place this weekend (October 13-14) in Sugar Land at 1 Fluor Daniel Drive. 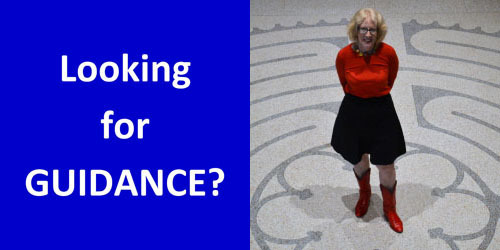 Click here for the event schedule – there will be plenty of races as well as entertainment by arts groups such as the Texas Teo Chew Association, which will be performing the opening Dragon/Lion Dance, and Dance of Asian America, which will be performing four dances. The event is free and open to the public and is great outdoor fun! It’s such a treat to find opera for kids! This Saturday, October 13 at 11am, Cypress Creek FACE is presenting a free HGOco Opera to Go! performance -- “Cinderella in Spain,” a hilarious bilingual adaptation (co-written by my friend Kate Pogue!) of the classic tale. The story begins when the King holds a fiesta to find a bride for his son, Prince Paulo, but havoc breaks loose when two stepsisters crash the party. This doesn’t stop Paulo from falling in love with a mysterious señorita – but can he find her with no other clue than the glass slipper she leaves behind? HGOco brings Houston Grand Opera programs out into the community, with special attention to events for children. Just for a little while, forget the movie that is real-life Washington, D.C. and instead enjoy the naivete of Jimmy Stewart as U.S. Senator Jeff Smith in the 1939 film “Mr. 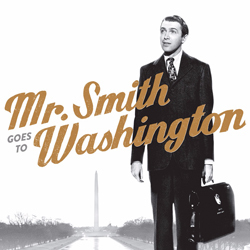 Smith Goes to Washington,” which is coming to three Houston theatres this Sunday, October 14 and next Wednesday, October 17 (see theatres and schedule here). Smith is an unwitting pawn controlled by a corrupt political party machine headed by the Governor, a publisher, and a Senator (hey now, that sounds familiar!). Turner Classic Movies www.tcm.com will provide exclusive insight before each screening and tickets are $13.53/each. 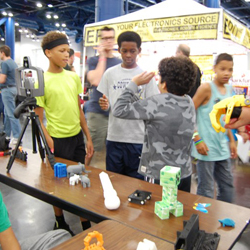 Enjoy a hall full of wonder at this year’s annual Houston Maker Faire, taking place at the George R. Brown Convention Center Hall E this Saturday (10/13) and Sunday (10/14) from 10am-6pm. This unique “Faire” is a family-friendly showcase of invention, creativity, and resourcefulness and features hobbyists, engineers, art car makers, robotics experts, and much more. 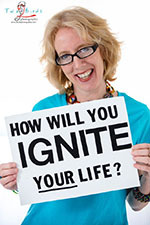 Innovation Spark is the local presenter of this event which is a celebration of the “maker movement” that was started by Maker Faire. Evelyn’s Park is the latest addition to Houston’s fab park scene and was built on the site of the former Teas Nursery. After the historic nursery closed, brothers Jerry and Maury Rubenstein purchased the land and gave the five acres to the city of Bellaire with the condition that they named the park after their mother, Evelyn, who was a lover of nature. 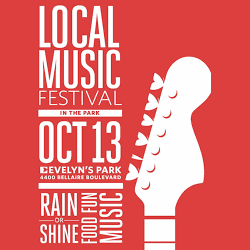 This Saturday, October 13 from noon-10pm, they are hosting a “Local Music Fest” which will feature free music (everything from music by emerging bands to jazz and R&B) and entertainment of all kinds all day long on their lawn.